Just when I think Target can't possibly get any more trendy...they come out with a new line that is pretty freaking awesome! I have been very impressed with their new Universal Threads line and I wanted to share some of my favorites. I recently ordered a few pairs of shoes to try, and it's going to be hard to decide which ones I need to return. Especially since the prices are unbeatable! I've been coveting the Free People Royale flats for a while now, but I just didn't want to pay $200. I had seen a few other companies come out with dupes, but none of them were quite what I was hoping for. Enter Universal Threads. They have a shoe that is almost identical to the Royale and it's only $32.99! 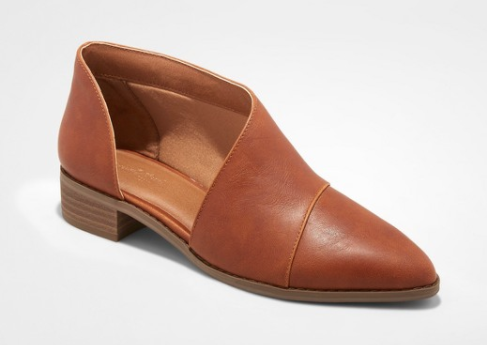 It's extremely comfortable with a cushioned foot bed, the vegan leather is very soft and feels like it will easily conform to my foot, and they are true to size. I am usually between a 9 and a 9.5, and this time I ended up keeping the 9. I highly recommend these! I feel like they look very narrow in the picture, but I don't have a narrow foot and they fit my foot perfectly. Also available in ivory, which would be so pretty for spring and summer! They sold out after the launch, but as of this morning, they were fully stocked again. 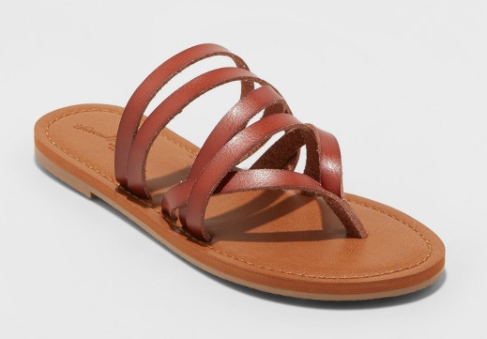 I also love these strappy sandals for summer! I have a thing for this cognac color right now. I just think it is so rich and pretty. These are also very comfortable and come in black, pink, white, and tan. 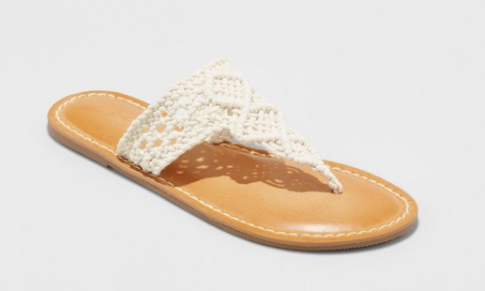 The last pair I ordered were these crochet sandals, which are adorable and perfect for spring/summer! They are also....you guessed it....extremely comfortable with that same padded footbed. The crochet portion stretches a little to conform to your foot. Is anyone else just itching for the snow to melt so we can start wearing our cute new sandals??? I ordered a 9 in the crochet sandals and a 9.5 in the leather ones. Both sandals fit, so I think if you are between sizes, you could get away with either. The flats in a 9.5 were slipping off of my foot though, so I'd stick with your normal size in those. 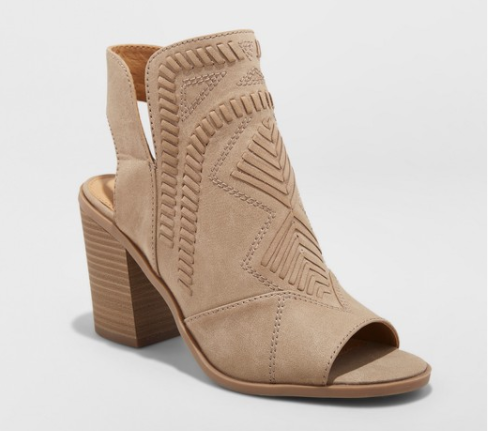 I also wanted to point out these block heel bootie sandals, which are almost identical to the Vince Camuto ones from Nordstrom. They are only $34.99! Here are also some other things from the Universal Threads line that caught my eye. So many cute things! A lot of it reminds me of Free People and Madewell, but at a fraction of the price. Thank you Target! Happy shopping!